Discovering exactly what you’re looking for could be the key to success when looking for the perfect small business to buy. Once you’ve identified the criteria for your ideal small business your search will become a whole lot simpler. Many people choose to buy a business over starting a new business from scratch to minimise risk. You can reduce the risk of failure even further by thoroughly researching and analysing the industry and type of business that is most suited to you, your lifestyle, experience and circumstances before you even begin perusing businesses for sale. Does the industry look set to grow and flourish or is it in decline? Evaluate both long and short-term industry forecasts before investing your money. Let’s face it, owning a new business can be all consuming, so it’s important that you have a passion for or enjoy working in the industry you buy into so that you feel driven to spend time on it. Make it easier to succeed by choosing a business in a field that you already have skills and experience in as well as passion. If you’ve already worked in the industry before then there is likely to be less research and training to do and you may already have a network of useful industry contacts too. Now you have some idea about which industry you want to buy a business in, how do you go about selecting the right business for sale? Failure to evaluate and think carefully about the criteria of the business you’re looking for can be the difference between a profitable and unprofitable business purchase. How much capital investment can you reasonably afford? Make sure the industry and type of business you’re thinking of pursuing align with your financial position. Is the type of business you’re looking for available in a location that will realistically work for you? And is the area you have in mind right for the business? It’s important to research whether there is a demand for the type of business you’re considering buying in the area you’d like to buy in and make sure the market for your business type isn’t too saturated in that area too. Does the business already have its own talented employees? Before purchasing it can be useful to check if the company’s values, employees and culture align with your own. Armed with your answers to these questions you can begin searching for your ideal small business to buy with clarity, and avoid wasting time looking at unsuitable businesses. Looking for a stress-free, professional and trustworthy company to buy a business from? 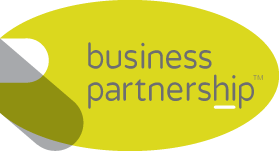 Get in touch with our team of skilled and experienced regional partners and let us help to find the ideal business for you by calling us here at Business Partnership on 0870 444 0 555. Previous Post Entrepreneurs relief Next Post Running your own business is great!